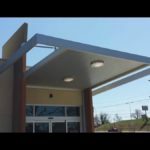 Architectural Shade Products presents the ASP Extruded Aluminum Canopy System, a high quality, pre-fabricated, customizable, canopy at an affordable price. 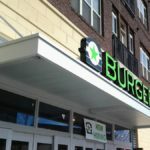 The ASP Extruded Aluminum Canopy System has been engineered to maximize efficiency of production, thus providing an excellent value, while still allowing a wide range of attractive design options. 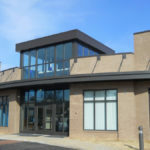 We combine structural channel, tubes and angles to fabricate virtually any fascia design. 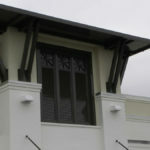 Fascia material choices include aluminum structural channel up to 12” tall. 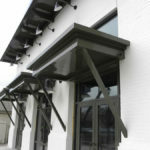 Canopies feature integrated gutters with your choice of downspouts or scuppers. 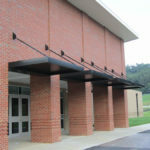 Canopies can be cantilevered from building walls or supported by hanger rods. 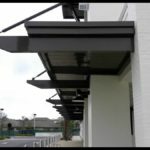 ASP Extruded Aluminum Canopies are made of 6063-T6 aluminum (hanger rods are sometimes galvanized steel depending on the application). Hanger rods are sized to adequately handle compression loads, not just tension, as is the case with cable or small diameter rod. Hanger rods can be adjustable with jaw style clevis ends, or non-adjustable. Hanger rod mounting wall plates come in a variety of standard precision machined designs, or can be engineered to your own custom specification. Choose between aluminum or Galvalume® structural decking. 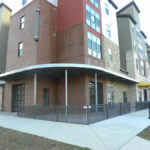 Our most popular extruded aluminum decking is 6” x .078” thick aluminum pans which interlock resulting in a flat, clean appearance when viewed from beneath. Or choose Galvalume® for an economical yet highly corrosion resistant decking material. The Galvalume® decking is also comprised of interlocking panels which are flat when viewed from beneath. 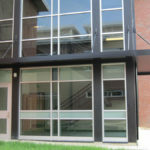 We offer the Galvalume® in 12” and 16” wide panels, and 24 and 26 gauges. 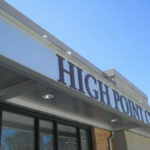 ASP currently offers installation of our canopies in Georgia, Alabama, South Carolina, North Carolina, and Tennessee. 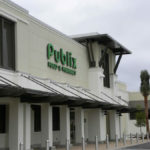 If your project is outside those states we can ship the canopies pre-fabricated and pre-finished to your job site with easy to follow installation instructions.